Ethel Urbahn was a local historian and photographer, as well as an active library advocate. The slides in this collection were left to the East Islip Public Library specifically by Ethel Urbahn herself. 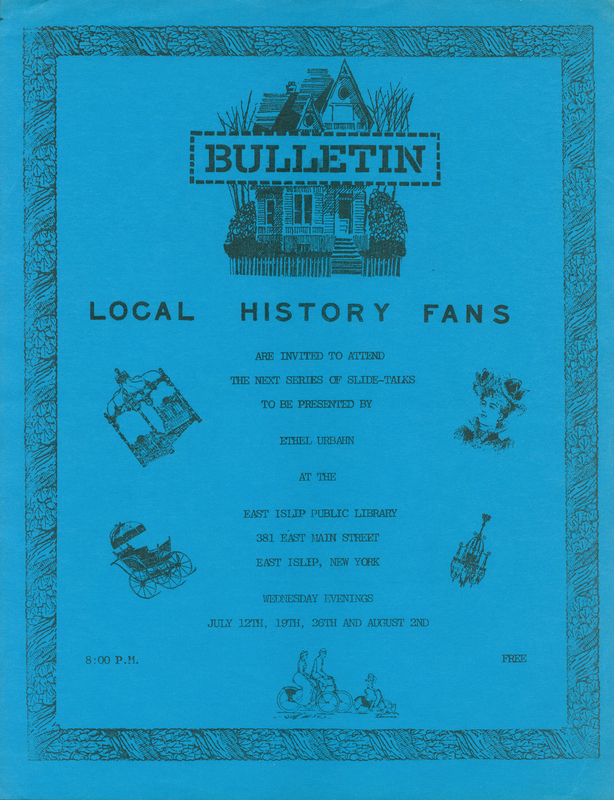 The slides were scanned and compiled by Ray Lembo, Archivist for the East Islip Historical Society in 2012. All attempts were made to archive the collection as it was left by Ethel. A woman “ahead of her time”, Ethel has contributed to the documentation and preservation of Long Island’s rich local history through this comprehensive collection.